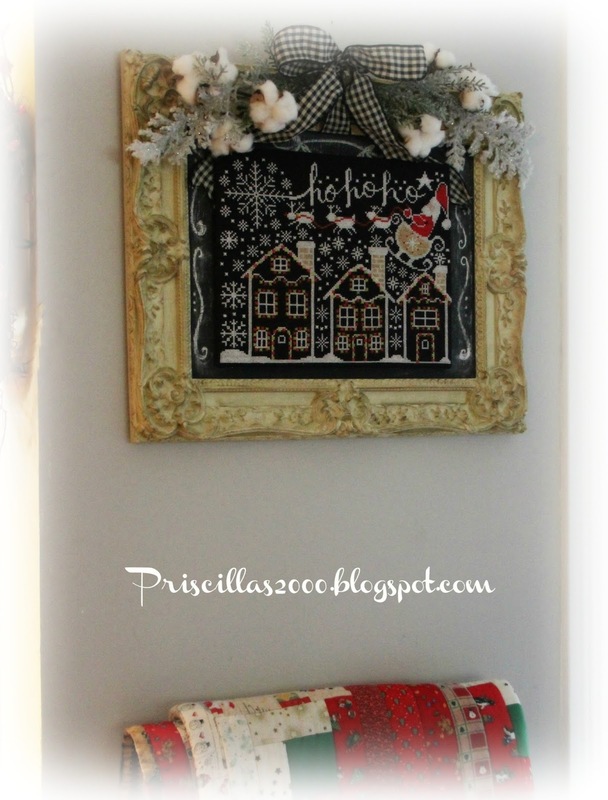 Priscillas: Seasons In Chalk Christmas-ho ho ho! The last installment of the Seasons In Chalk ( a collaboration with Hands On Design and me ) is out in the newest Just Cross Stitch Magazine.. ( online..not on the newsstand yet) and here it is! 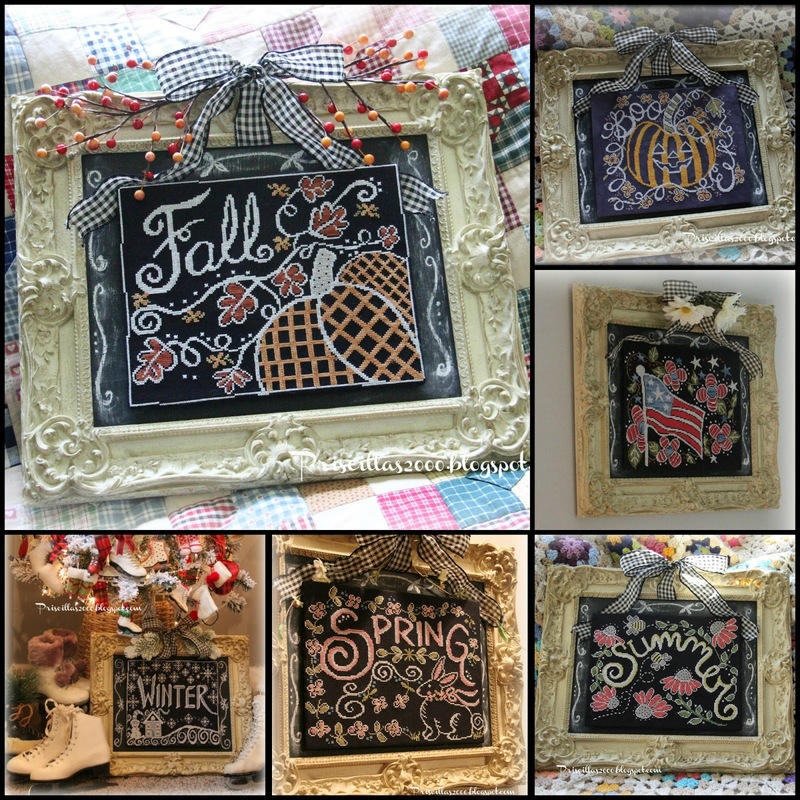 Cathy's stitched piece on the left the chalkboard on the right..All of the designs were charted so amazingly to look exactly like the chalkboard versions..So much fun to see my doodled chalkboards come to life in cross stitch! I stitched all of mine on 28 count black Monaco .. and used magnets on the chalkboard painted frame and small pieces of sheet metal on the back of the stitching to change them out ..The frame is an estate sale find , and it is a vintage paint by number frame. I would like to thank all of you for your enthusiasm for all the designs as they came out ..It has been so wonderful seeing them posted on different cross stitch boards on Facebook and photos on Instagram ! I appreciate you all! 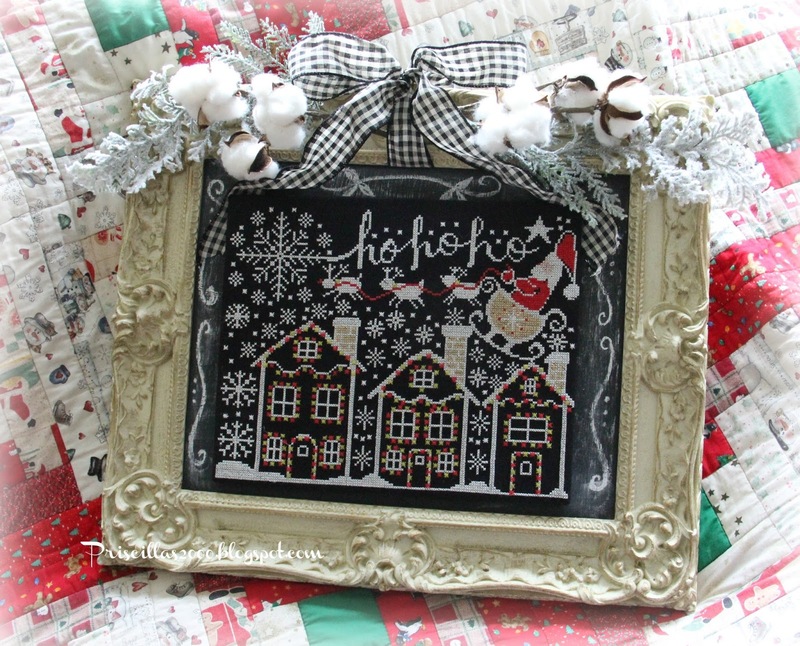 I hope you enjoy stitching this one to display in your home for Christmas! A great design, just like all of them. Very cute! 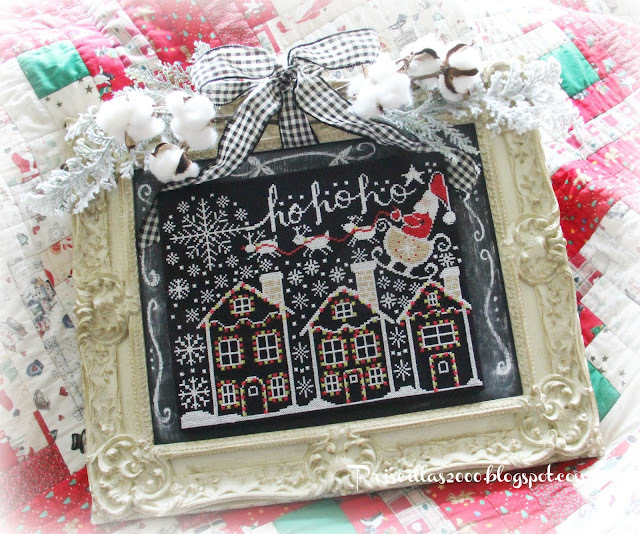 I wish I could stitch faster as I have a bunch of projects I want to do, and now this is added to the list too! I'm so excited as I subscribe to Just Cross Stitch ����������. 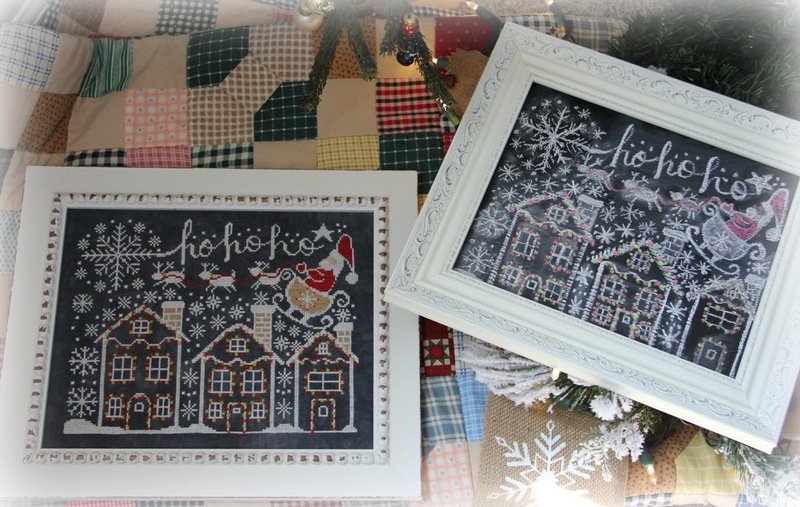 I am a slow stitcher, but will definitely this started!!! !